This Birth Boot Camp® Class is more than your average Hospital Birth Class. More education. More fun. More relaxation and labor practice. More information on interventions, including medicated and cesarean births. Be informed and prepared for common tests and procedures that may impact your birth. Preparing for an Amazing Hospital Birth with Birth Boot Camp® will arm you an understanding of informed consent, common tests and procedures, more confidence and less fear, knowledge of the process of birth, avoiding an unnecessary cesarean, and making a birth plan. Six sessions of connection, preparation, and information. In this Birth Boot Camp® class we will cover the sensations of labor, making relaxation work for you, comfort measures for labor, the physiology of birth, medicated and cesarean birth, pushing, water birth, and more. In this Birth Boot Camp® class, you will gain communication tools and knowledge to ask informed questions as you plan your birth and postpartum. 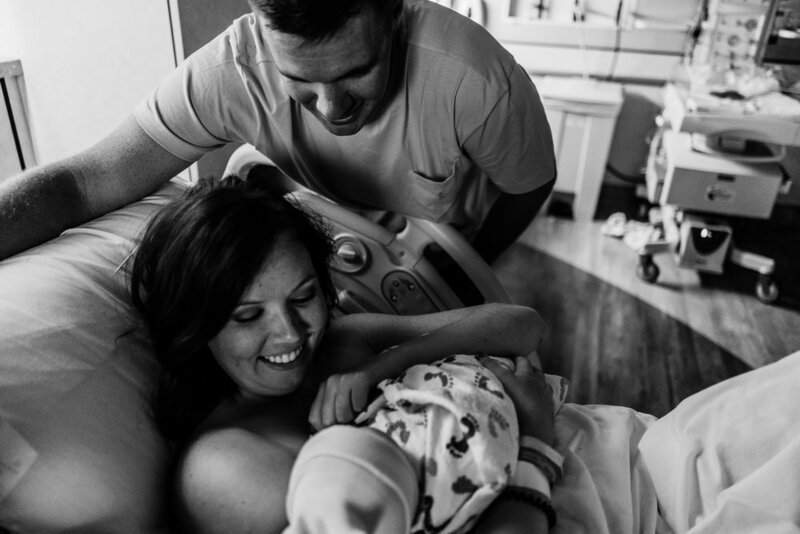 You will leave class informed and confident for an amazing hospital birth.